Double glazed windows are designed with the aim of providing a better barrier against outside temperatures compared to single paned windows, as the two layers of glass and the buffer layer act as insulators. They are made from two panes of glass that are separated by a layer of air or gas and then sealed. There are many of advantages of the double glazed windows, and their presence or addition is generally considered to increase the value of a home. The most significant advantage is their ability to conserve energy and reduce costly energy bills, since they keep homes warmer in the winter and cooler in the summer. 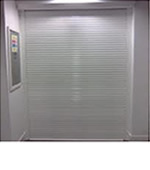 They are also relatively low maintenance, offer better insulation against noise, and provide a measure of increased security, since each layer of glass is another barrier against intruders as your home security comes first after all. 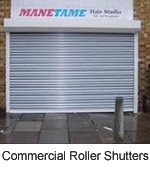 The locking systems should be fitted at the time of manufacture. 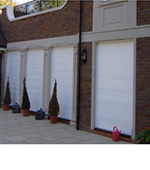 The locking system should be fitted within the framework. The handle should not be the only means of keeping the window closed. 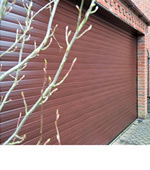 The handle must be usable as a means of throwing or engaging the internal locking system. 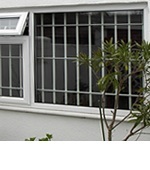 Thus, it is highly recommended to install security grilles on the inside of the double glazed windows to improve the overall security of one’s property. RSG Security offers especially slim-designed security grilles to suit the contemporary client’s taste without affecting the aesthetics of your castle. Giving homeowners the choice to select between a diamond or curved lattice design, the retractable grilles can be easily shut and locked, as well as stacked behind curtains and blinds should you wish to keep them out of sight of guests. 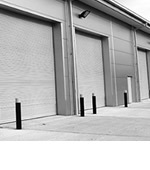 Furthermore, a range of RSG collapsible and folding grilles are certified to the recognised LPS1175, up to security rating level 3 standards. Should one prefer a different approach, RSG Bar Grilles can be fitted externally to act as both a visual deterrent and still adding style to your shelter. 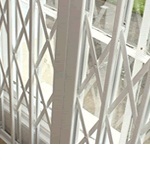 So, combined with the solid double-glazed windows, installing grilles means that your security is undeniably top-notch. To find out more how we can protect your unsecure windows, please speak to a member of the RSG Security Team on 0208 123 1088 or visit our contact us page.